1. Wash and iron a store bought pillow cover. 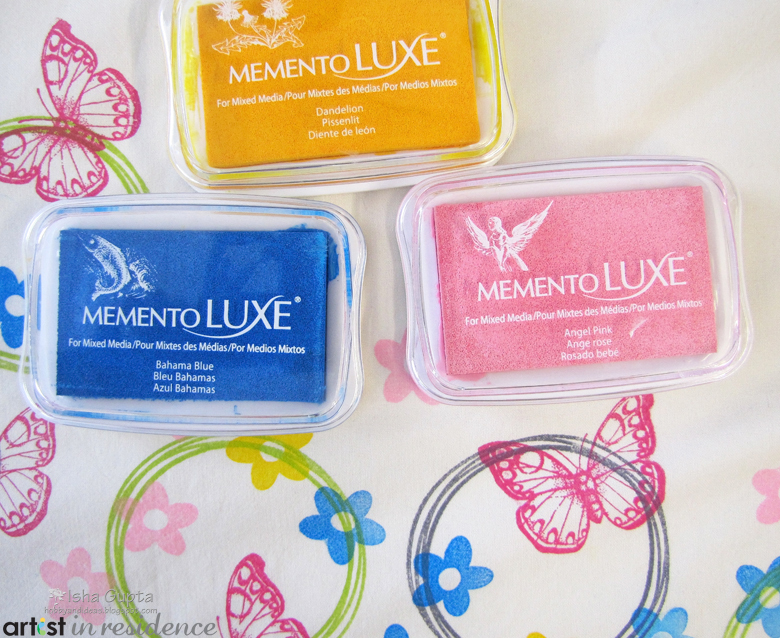 I put a few sheets of paper inside , so when we stamp it ink won't seep to the back side. 2. 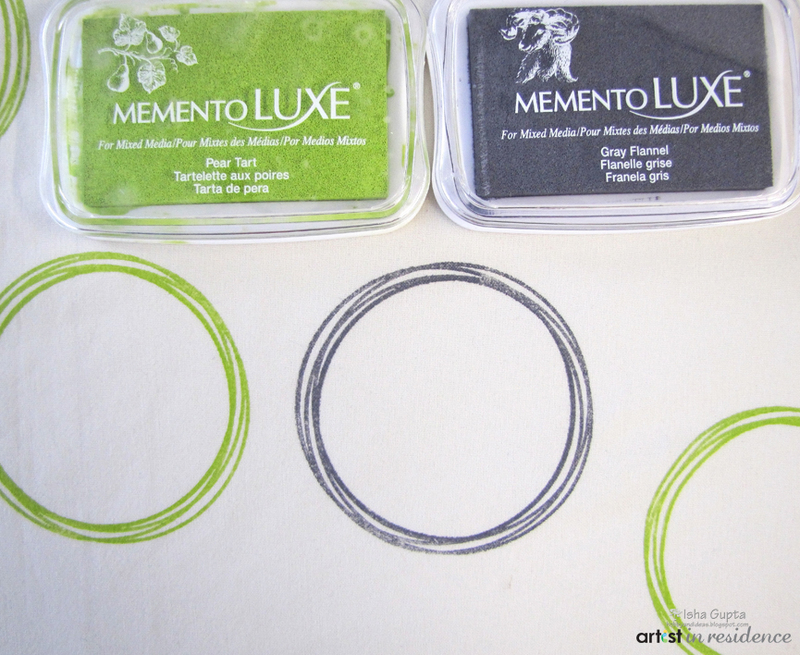 Stamp the circles using Pear Tart and Gray Flannel Memento Luxe inks. 3. Now stamp the butterflies in a random order. 4. 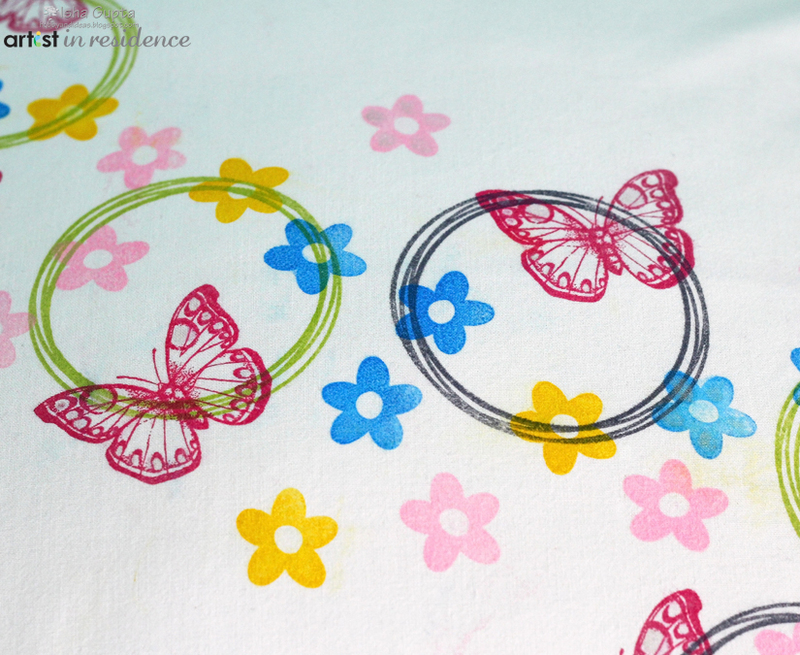 Finally to get the feel as if our butterflies is in a flower garden, stamp a few flowers in colors of your choice. 5. This is how it looks once you stamp everything. 6. 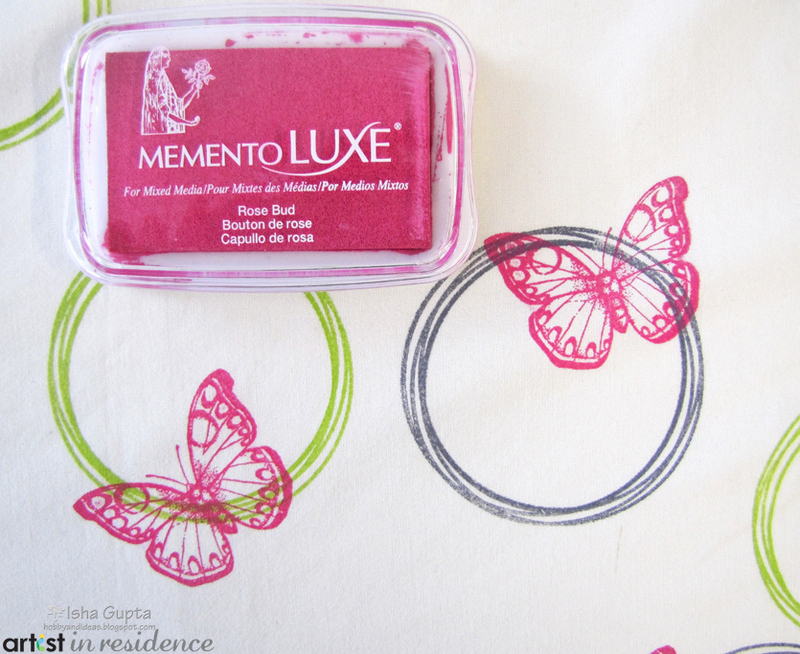 Iron the pillow cover using a pressing cloth to heat set the inks and allow to sit for 24 hours. When ironing be sure to not use the steam for this. 7. Wash in cold water and enjoy!